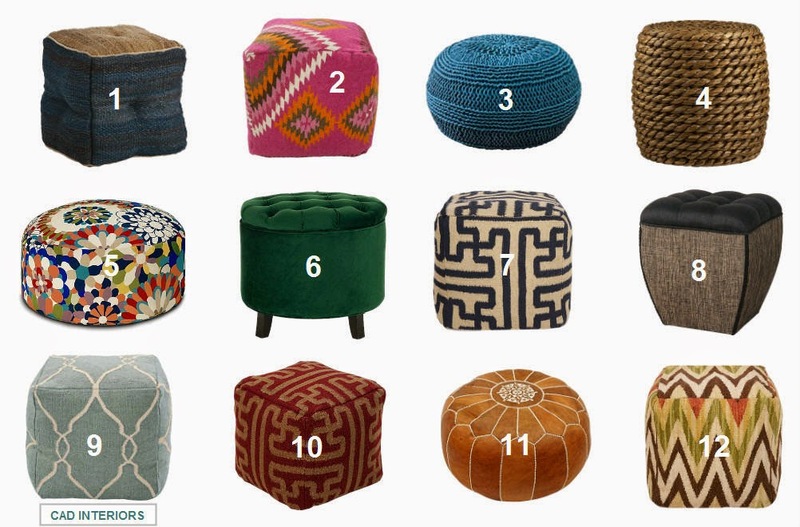 Ottomans and poufs have quickly become favorite "go to" pieces in my designs, since they are very functional and come in so many options. Poufs are especially fun to incorporate into a room design because they often come in vibrant/fun colors and patterns! They are also versatile. You can use them as seating, a footstool, or a table! Tip: Stack two or three "disc-shaped" poufs to form an end table.